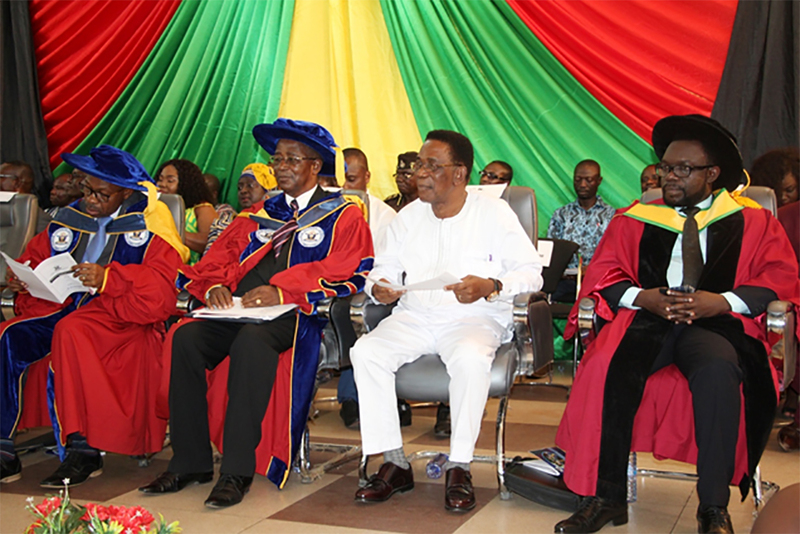 Kumasi Technical University (KsTU) has held its 14th Congregation Ceremony over a two-day period between 18th and 19th January, 2019 for the 2017/2018 graduands. The Minister of Education in charge of tertiary Prof. Kwesi Yankah who graced the first ceremony on Friday, 18th January in his address, encouraged the Technical Universities to build enough capacity to cope with the expected influx of students from the free Senior High School programme. He opined that the Universities were currently operating below capacity hence, the need to prepare for the high influx of students that are expected. He further expressed the hope that the Technical Universities will shift the distribution of students to favour sciences instead of the current situation where humanities were widely pursued at the expense of the sciences. He used the opportunity to assure the lecturers that all processes leading to the migration of the salaries of staff unto the university salary structure was well advanced. In all, a total number of 3148 graduands were presented on both days with 1701 graduating on the first day. Master Osei Blessing Benjamin of the Statistics Department received the overall best student award with Victoria Oppong Nyamekye of the Purchasing and Supply Department being adjudged the best female student. In his address, the Vice Chancellor of KsTU Prof Mike A. Acheampong expressed the University’s readiness to absorb the soaring numbers of students from the Free SHS as a lecture hall complex under construction at the University’s Adako Jachie campus was almost completed. He said the University was also currently liaising with three German Universities of Applied Sciences towards the development of a project in its niche area. He used the opportunity to challenge the graduands to always aim for the best and determine to make a paradigm shift from the conventional ways of doing things for better.